We’ll dazzle with edible metallic paints, sugared crystals, perfectly “footed” macaron shells, and mind-blowingly delicious buttercream. But the real magic? That comes when our guests engage with these materials and explore parts of their creativity they didn’t know existed. 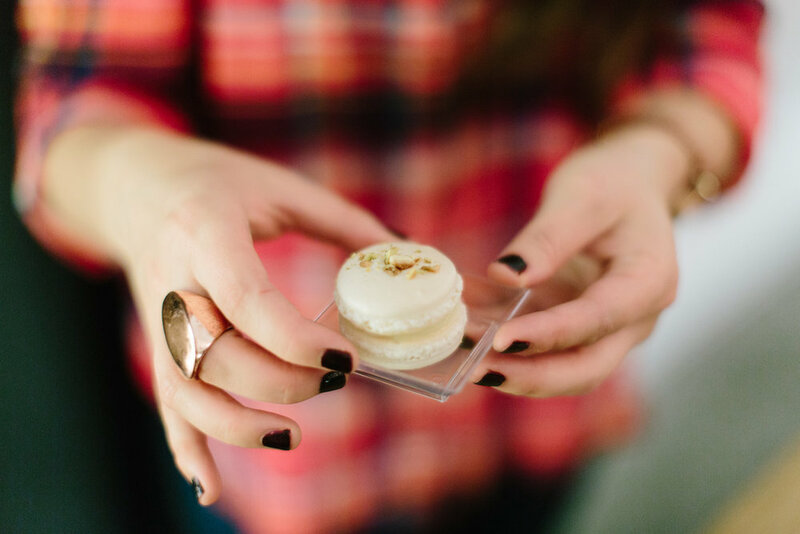 Each of your guests will fill and decorate their own take-home pastry box of bespoke macarons.